The latest web statistics from Hitwise (www.hitwise.com) are out. Here are the highlights of the most popular websites in Canada for the week ending Aug. 6. A few things are obvious from the latest results. Facebook, YouTube and Google dominate in their categories. Canadians love our banks’ online banking websites, too! Meanwhile, MLS continues to dominate activity in Canada’s real estate industry. The top 10 overall websites for traffic were: 1) Facebook (12.52 per cent of all traffic); 2) Google Canada (9.26 per cent) ; 3) Windows Live Mail (4.34 per cent); 4) YouTube (4.21 per cent); 5) MSN Canada (2.17 per cent); 6) Google (1.72 per cent); 7) Yahoo! Canada (1.30 per cent); 8) Bing (1.27 per cent); 9) Yahoo! Mail Canada (1.16 per cent); 10) Sympatico.ca (0.96 per cent). The top five search engines: 1) Google Canada (65.68 per cent); 2) Google (12.18 per cent); 3) Bing (9.03 per cent); 4) Ask (3.60 per cent); 5) Yahoo! Canada Search (2.79 per cent). It’s pretty clear that Google continues to dominate the Canadian search engine landscape, leaving all others in the dust. You know you’ve arrived when your brand name has become a verb. 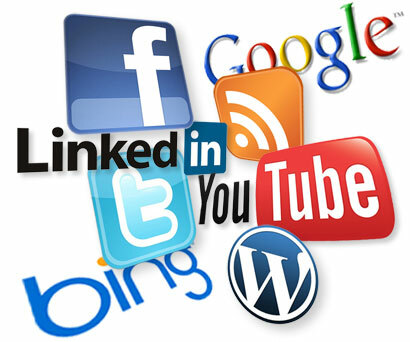 The top five social media websites: 1) Facebook (64.52 per cent); 2) YouTube (21.72 per cent); 3) Twitter (0.98 per cent); 4) Meebo (0.79 per cent); 5) Badoo (0.78 per cent). Of the 15 other websites showing up on the Top 20 list, Google Plus is nowhere to be found. Note the complete dominance of Facebook and YouTube. Together, they account for a phenomenal 86.24 per cent of all social media website traffic in the country. Incredible! Hitwise also ranks sites in banking, travel, real estate and entertainment. The top five banking websites: 1) TD Canada Trust Online Banking (12.36 per cent); 2) Royal Bank of Canada Online Banking (11.30 per cent); 3) Desjardins Online Banking (8.52 per cent); 4) TD Canada Trust (7.50 per cent); 5) Royal Bank of Canada. The top five travel websites: 1) Google Maps Canada (16.98 per cent); 2) Google Maps (4.46 per cent); 3) Take Off Eh! (3.99 per cent); 4) Expedia Canada (3.22 per cent); 5) Air Canada (2.20 per cent). The top five real estate websites: 1) Realtor Canada – also known as MLS (25.81 per cent); 2) RE/MAX Quebec (5.31 per cent); 3) Duproprio.com (4.42 per cent); 4) ComFree.com (2.89 per cent); 5) Century 21 Canada Real Estate (2.49 per cent). Moncton-based Property Guys is in ninth place with 1.79 per cent of total visits. The top five websites featuring entertainment personalities: 1) People Magazine (14.00 per cent); 2) TMZ.com (9.15 per cent); 3) PerezHilton.com (5.98 per cent); 4) Zimbio (5.79 per cent); 5) CelebEdge – Canada (3.51 per cent). And finally, here are the top 10 search terms (written exactly as they are being searched for) for the week ending August 6: 1) facebook (5.42 per cent); 2) youtube (1.91 per cent); 3) facebook login (1.64 per cent); 4) kijiji (0.39 per cent); 5) www.facebook.com (0.31 per cent); 6) facebook.com (0.26 per cent); 7) plenty of fish (0.25 per cent); 8) google (0.25 per cent); 9) you tube (0.23 per cent); 10) fb (0.17 per cent). Of all the terms searched for in Canadian cyberspace, Facebook-related searches account for five, while YouTube accounts for two – meaning that seven of the Top 10 searches only involve two websites. That’s pretty impressive, if you ask me! And again, Google Plus isn’t even on the radar.